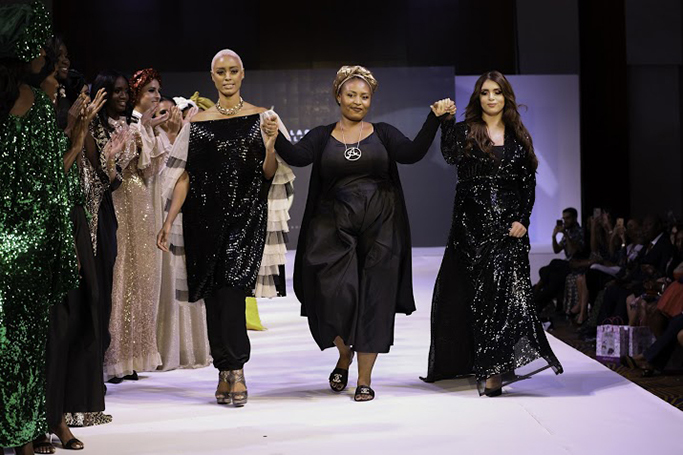 On the 9th and 10th of November 2018, the annual fashion show returned with its sixth instalment which took place at the Marriot Hotel Al Jaddaf in Dubai. It was a truly electrifying experience which showcased many regional talents. Runway Dubai promotes local and international designers whilst creating social and environmental awareness through the platform of fashion. This year featured Natalie Oden who shone the spotlight on Autism. She also walked the ramp for designers like Tatiana Shabelnik a culture inspired brand based in California, U.S.A. The Fashion show featured various individual contestants who each had diverse sources of inspiration. In addition to the fashion competition, was a collective presentation inspired by Sheikh Zayed Bin Sultan Al Nahyan. The initiative featured fashion students from Amity University, American University in the Emirates and College of Fashion and Design, and Campustar fashion college. The first time in the history of the industry, that fashion institutions collaborate for a motivating cause. This segment of the show was very inspiring, with students rooting for each other. Many other causes were presented at the show this year, including breast cancer awareness. There were messages of encouragement, positivity and perseverance that empowered women as they danced on stage with vibrant colors, signifying fire and strength. Finally, there was an impressive presentation of influential and dynamic designers which included Nkechi Harry Ngonadi, Adriana Talansi, Gift University, Meghna Williams, Abaya Lagos, Mariam & Mahnoor Khizer, Tatiana Shabelnik, Monic Artwear, Yasmine Mamlouk and Araoluwa Popoola. Roll on Runway Dubai season seven!